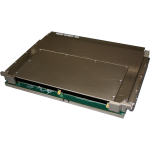 Virtex 6 Archives - Annapolis Micro Systems, Inc.
Up to three Xilinx Virtex 6 FPGAs per board with FPGA sizes up to LX550T or SX475T. They are available with up to 7 GBytes DDR2 DRAM for 22.4 GB/s and up to 448 MBytes DDRII+ or QDRII SRAM for 25.2 GB/s. Up to 1.6 million logic cells and 2.7 million multiplier bits per board. Air Cooled Only. 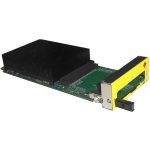 Up to two Xilinx Virtex 6 FPGAs per board with FPGA sizes up to LX550T or SX475T. 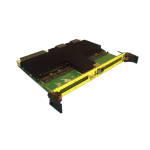 They are available with up to 8 GBytes DDR3 DRAM for 25.6 GB/s, 256 MBytes QDR/DDRII+ SRAM for 14.4 GB/s or 1.1 GBytes of RLDRAM2 for 25.6 GB/s. Up to 1 million logic cells and 1.8 million multiplier bits per board. Air or Conduction Cooled.